Linenhall Film Club continues its Spring 2019 programme with a very special screening of funny and heartwarming Irish documentary, The Man Who Wanted to Fly, on Tuesday March 12 at 8pm, with a Post-Screening Q&A with the film’s director Frank Shouldice. Bobby Coote left school at 13 and says his reading and writing isn’t great. He fixes clocks and spends a lot of time in his back shed making violins from old furniture. 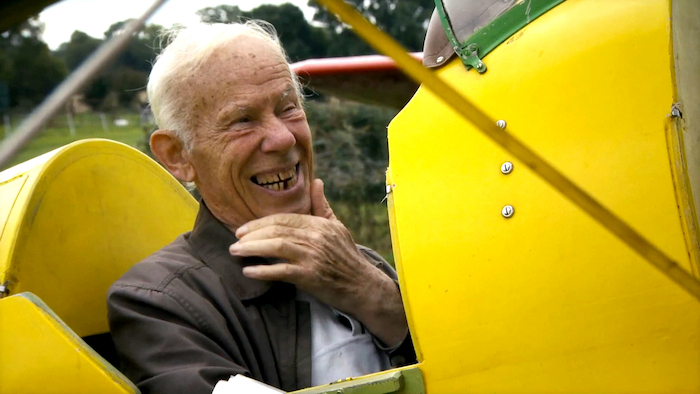 But he’s never lost sight of a lifelong dream to fly. His neighbour Sean has also caught the bug. Setting aside their own field of dreams they have cut out a runway and even built a hangar in a small rural border community - and now Bobby has used all his savings to buy a plane! He’ll get no encouragement from his brother Ernie. Ernie thinks the whole thing is mad but Bobby says he’ll make this happen … even if it’s the last thing he does. A charming and timeless documentary about never giving up on your dreams and how age really is only a number! Described as a feelgood Irish film with a Hollywood twist, it was filmed over a period of five years and was directed by Frank Shouldice and it won Best Feature Audience Award at the IFI Documentary Festival 2018. Frank Shouldice will be present on the night at the Linenhall for a Q&A session after the screening.